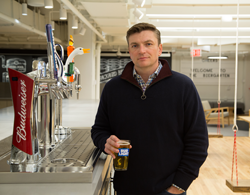 Nick Kelly, head of U.S. sports marketing for Anheuser-Busch InBev, is a busy guy. The company is currently shifting gears from a major campaign around the Daytona 500—Busch is the official beer of NASCAR—to ramping up a number of firsts around the wild March basketball season. Kelly spoke with Chief Marketer about his goals, challenges and how his team generates those big campaigns ideas. 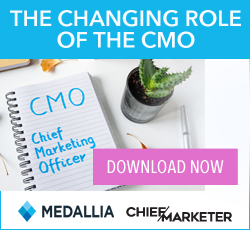 CHIEF MARKETER: What is your role? 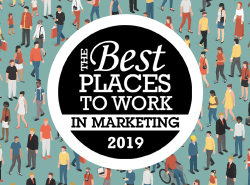 NICK KELLY: I oversee all sports marketing including NASCAR, NFL and MLB, with a goal to highlight the assets we need to be successful from Bud Light to Busch to Stella Artois. NK: My team’s job is to come up with those unique campaigns. Our challenges day-to-day are to come up with four or five big campaigns per year per sport instead of every day pushing something out to see if it sticks. We look at what are the most efficient and effective campaigns to drive fan engagement and go all in on those. CM: How do you come up with campaign ideas? NK: A lot of campaign ideas come from day-to-day research and conversations on social, but we focus on those big “Super Bowl” moments. When we find something that works, we go all in on those rather than being scattershot. A year and a half ago we saw “Dilly Dilly” on social media, then “Philly, Philly,” and created that campaign around what we saw happening. We take those insights to create unique campaigns that engage in existing consumer conversation. We can’t create them in a vacuum. CM: You just ran a huge campaign around the Daytona 500. What was that like? 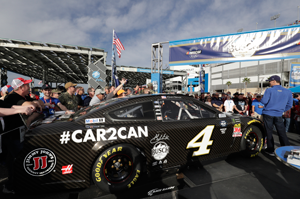 NK: The entire “Car2Can” campaign was driven by an insight that our brand team saw in the offseason around the desire to obtain used items from races. Given the fact that our beer is distributed in an aluminum vessel, we were able to take the sheet metal from Kevin Harvick’s Cup Car and make an extremely limited edition can for both Bush and NASCAR fans to acquire. We trended at No. 1 nationally on Twitter for nearly an hour during the Daytona 500 because our campaign was directed towards any NASCAR fan, not just those who love Kevin Harvick. CM: You have more big plans this month. What’s coming up? NK: For the NBA in March we’re now rolling out a bunch of player assets. For the first time, we have the rights to use active players in marketing materials—not just marks at retail locations. Because we’re an alcohol brand this is brand new and never been done before. You may see active players at retail for Budweiser. In April, we will launch for the first time MLB players with opening day appearances at retail and we’ll produce a lot of content around those players. CM: What is your top challenge? NK: The challenge is coming up with a campaign that lasts more than 24 hours. There are a lot of brands that post on social that everybody allows the entire company to high five, but it doesn’t stick. For us, it’s about creating a level of stickiness that is talk worthy beyond a single piece of content that lasts for more than one swipe. The challenge is taking a quick win and not assuming that it has legs. We try to see through if we have something, even if it has a couple thousand shares, we need to have patience and take a measured approach to make sure we’re not running on something that isn’t just a flash in the pan to make sure it will be successful. CM: You manage 12 employees operating from various parts of the country. How do you handle that? NK: Out of our headquarters in New York we are brand specific: a Bud, Bud Light, Busch and ULTRA team for sports. In regional offices, employees wear all hats; they are an extension of the New York team so they work on everything. The biggest challenge is keeping everyone engaged and making sure that everyone knows everything. It’s making sure they feel close to our team even though they’re thousands of miles away. There is a concerted effort to make sure that we do regular debriefings that may be monotonous to the New York team, but are really important to the others. It truly moves the needle for us to make sure those individuals feel like they’re part of the team. We use video conferencing and that makes a huge difference. CM: You spend 200 or so days per year on the road, how do you manage your time? NK: Time management is a challenge. I’m in a role, as are my team, managing properties that are spread across the country—high investment partnerships that span from Boston to Chicago to Miami. We want them to know how appreciative we are of those partnerships, but we can’t be everywhere. It’s important for us to be present, but just deciding where to go is our biggest struggle every day. CM: What is your relationship with your boss like? NK: I report to Joao Chueri, svp of consumer connections. We have a great relationship. His expectation for me is to be the expert in my field, to know everything that is going on in sports, music and entertainment and that I’m operating in our best interest and managing our budget efficiently. He pushes my team to think bigger or differently, but at the same time we’ve built up a level of trust. The relationship doesn’t feel managerial; it feels supportive. We spend $800 million to $1 billion a year for North American for all AB products so he can’t spend all his time worrying about what we’re up to. NK: The unknown. We attempt to keep a clear line of communication with all of our internal and external partners, but it is extremely challenging to stay abreast of the day to day among this group. We want to ensure we have the best chance to get every jump ball and have the right people in place to access those opportunities, so that will always be one of our biggest priorities.